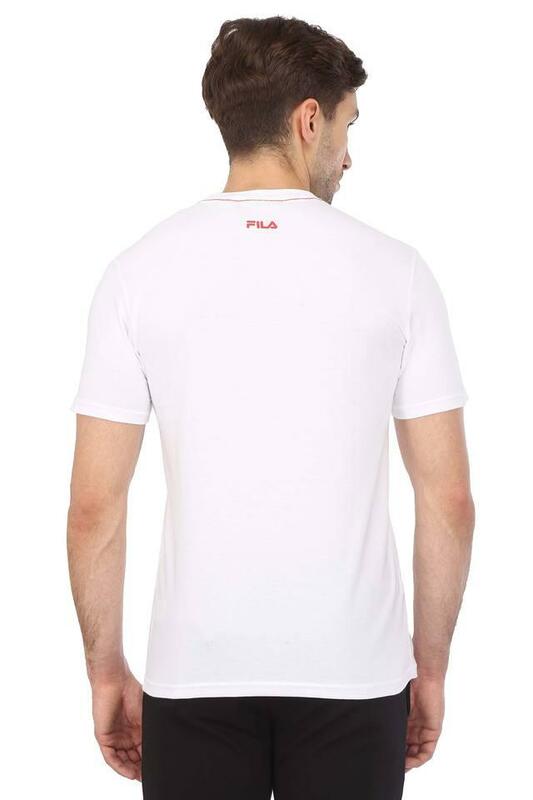 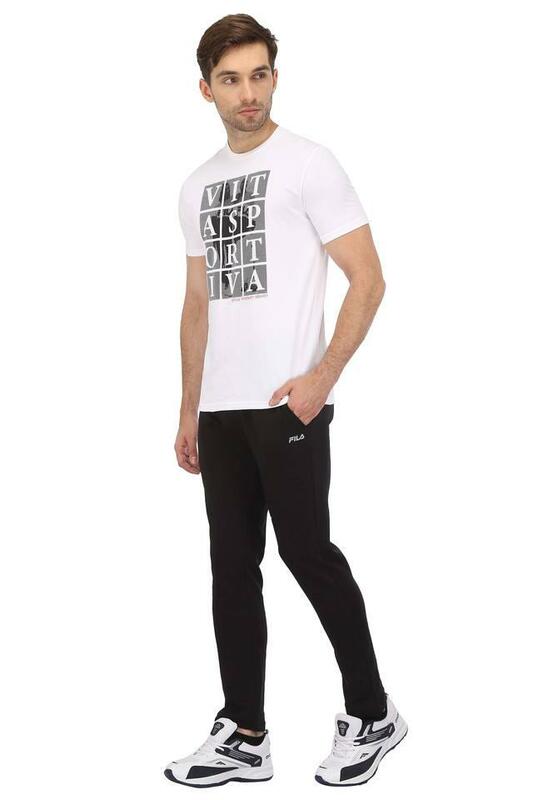 Give your sportswear collection a stylish lift with this t-shirt from Fila. 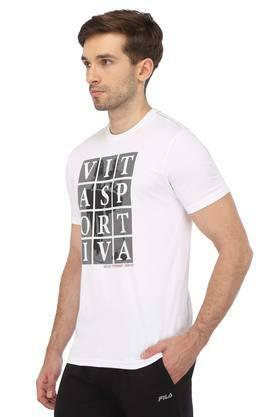 This trendy graphic print t-shirt features a round neck along with short sleeves which is very convenient to wear. 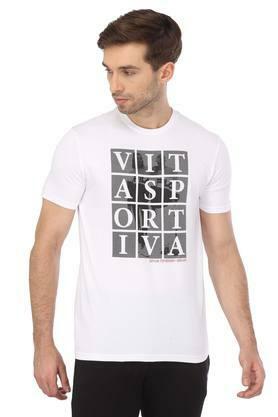 Made from good quality fabric, it is comfortable to wear and stylish in look.